It´s always good to look for natural ways to maintain a good head of hair. With many products available maybe look first at natural alternatives. Rosemary oil is thought to increase cellular metabolism that stimulates hair growth. From a 2013 study conducted at Kinki University in Japan. They found that rosemary leaf extract improved hair regrowth in mice that experienced hair regrowth interruption induced by testosterone treatment. A human study was conducted in 2015. This investigated the clinical efficacy of rosemary oil in the treatment of androgenetic alopecia. Patients with androgenetic alopecia were treated for six months. Using either rosemary oil or minoxidil (2 per cent). This served as the control group. Minoxidil is a medication used to stimulate hair growth and slow hair loss or balding. After six months of treatment, both groups experienced a significant increase in hair count. Scalp itching, however, was more frequent in the minoxidil group. The study proves that rosemary oil is just as effective as hair growth medications. With fewer side effects, such as scalp itching. This plant has nourishing properties to keep your hair strong and healthy. Aloe vera benefits have been known for centuries. This health-conscious plant contains beauty, medicinal and skin care properties. A 2012 study published in Anatomy & Cell Biology found that aloe vera gel reduced inflammation and had notable wound-healing effects when used on rats after a surgical incision. 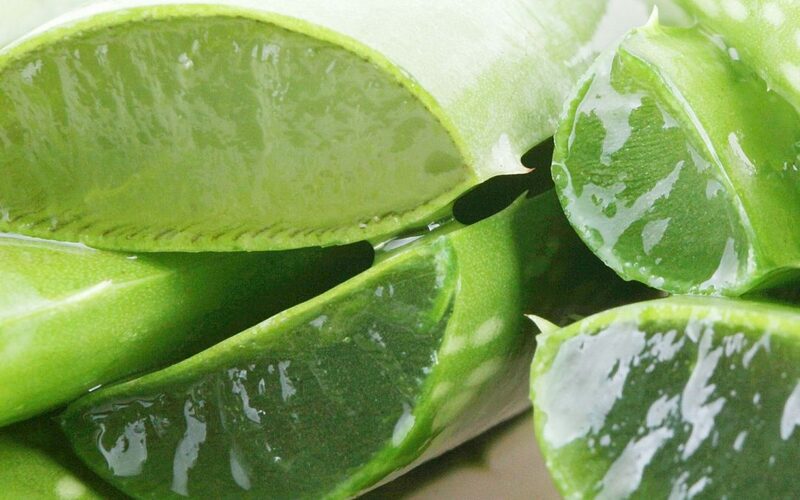 Not only did aloe vera promote rapid wound closure, but it also enhanced hair growth at the sight on the incision. Aloe vera has also been reported to have a protective effect against radiation damage to the skin, which can lead to hair loss. Following the administration of aloe vera gel, an antioxidant protein called metallothionein is generated in the skin, which scavenges free radicals and prevents UV-induced suppression.